I'd actually ordered this book on Amazon before I read a reference to Edward R. Tufte in Slide:ology, and so I was immensely happy when I finally got my copy in the mail. Envisioning Information is packed with rich examples of presenting complex, layered data in ways that are usable and even visually pleasing. I recommend this book to any one interested in usability and interface design. Be warned though, that this book is dense with ideas, explanations, and images. It reads more like my college biology text book than a normal design book, and the vocabulary is often times as complex. Reading this book can be daunting, but so far, the value I've gotten back out of it has been immense. I think my only complaint about this book is that it is beginning to become dated. Written in 1990, Tufte spends most of his time talking about designs created for printed media, and the examples of computer displays seem very primitive by today's standards. Luckily, media is no impediment to the concepts in Envisioning Information; "flatland" and "chartjunk" are the same if on a poster or on the web. 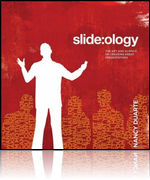 I've fallen in love with Slide:ology by Nancy Duarte. This book covers just about everything you could want to know about how to design effective slide based presentations. If you have delivered a presentation or ever will deliver one, this book is for you. Whats even better is that even if you'll never deliver a presentation in your life, then this book might still be for you. While focused on presentations, the concepts and insights in Slide:ology are very easily ported to the world of web design: make your point as clearly and simply as possible; images can speak louder then words; colors, fonts, images, everything contributes to the messages you are conveying to your audience. 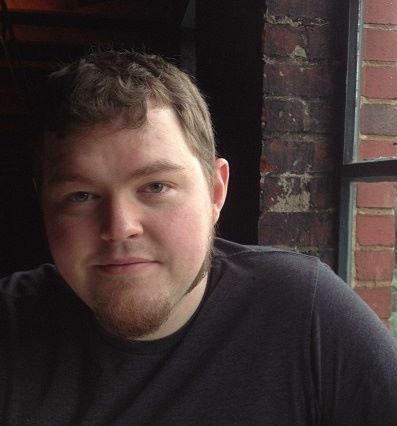 Daurte also backs up the guidelines with tons of examples, both in terms of visual ideas to inspire you and in real-world examples of individuals who have employed specific techniques to deliver their message. Give it a spin and see what the world of Power Point can offer web designers. I've finished reading Designing the Moment byRobert Hoekman, Jr., and it was an excellent book to follow up Web Design for ROI. I'd read Robert's other book, Designing the Obvious as well, and this book is no less impressive. Since I spend most of my time in back-end developer land, its awesome to read books which offer not only great advice, but great advice that says that the user experience flows from the beginning to the end of the project; its not the job of just a front end developer or designer. Check it out for great advice on how to analyze your apps to make them more usable, and thus increase conversions. I've been working on tons of little projects the last couple of weeks, but unfortunately, they have all been generated by Web Design for ROI by Lance Loveday and Sandra Neihaus. This book is awesome. Its got me looking at all kinds of sites and thinking, "How can I maximize conversion on this?" If you do anything remotely like front or user interface design, this book is for you.